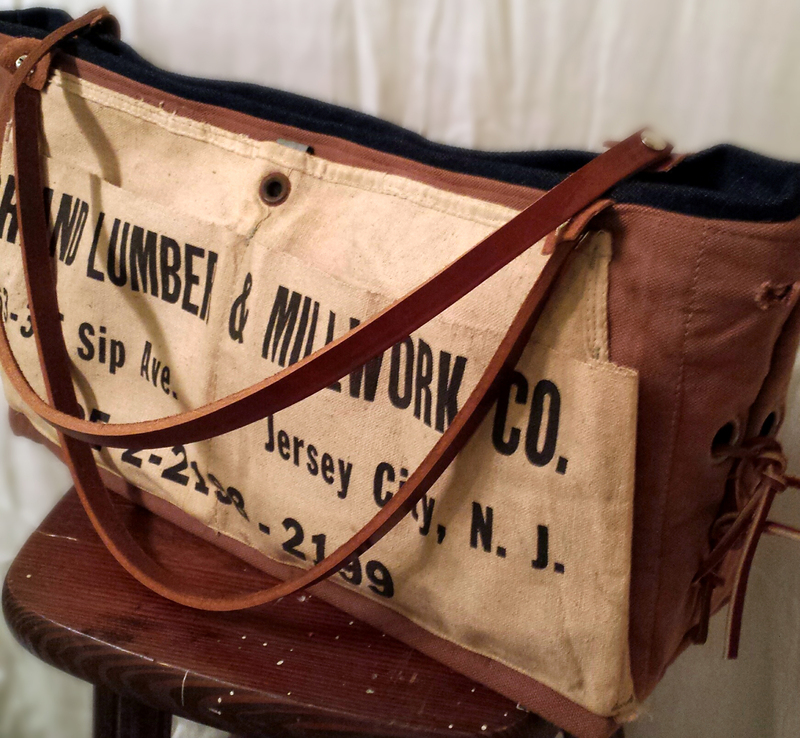 The material used to construct this bag is 40+ years old, but is still in great condition. Any discoloration you see in the fabric, is the result of years of natural wear and aging. 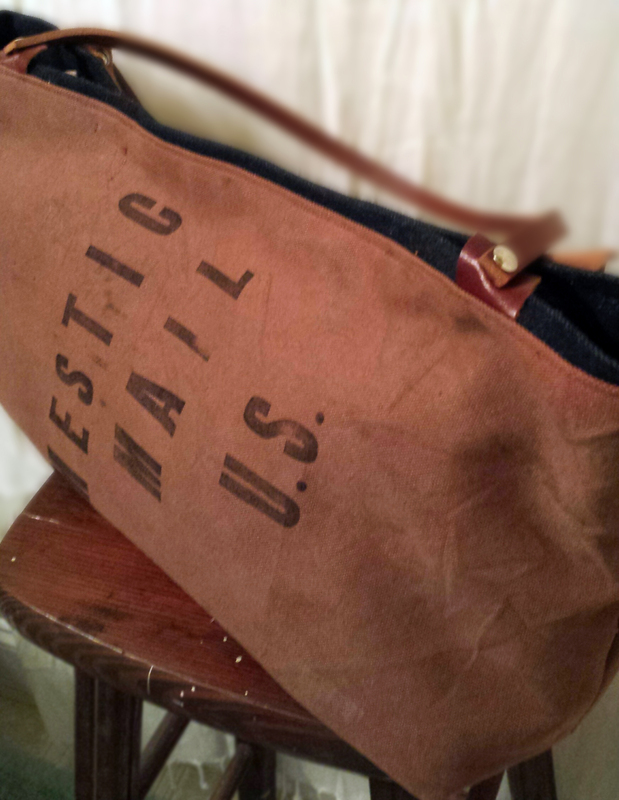 Sturdy, well-loved canvas salvaged from a hand lettered 1960’s era postal bag has been paired with 1950’s era carpenter’s nail apron and turned into a perfect everyday bag. Straps made from 10oz medium brown cowhide . Much time and effort is put into making every [RE]-fried bag a one of a kind treasure.